Evoking the origins of the original Mk1 and Mk1a Spitfires designed by the legendary RJ Mitchell, Just Flight’s Dunkirk Spitfire recreates in incredible detail a handful of examples that flew in the early stages of World War 2. This pack includes three aircraft models with realistic weather and wear effects, the Mk1 (very early with two-bladed propeller, flat-top canopy, rudder balance guard ring and pump-operated landing gear), Mk1 (early pump-operated landing gear, low profile canopy) and Mk1A (later hydraulically operated landing gear, higher profile canopy). 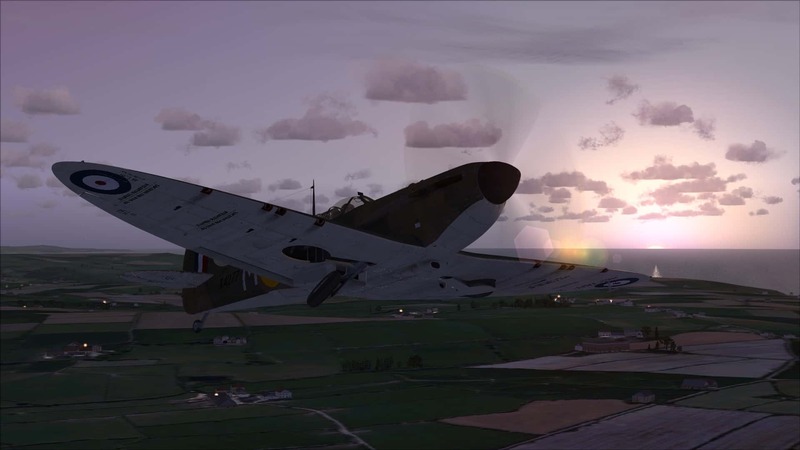 Created using factory engineering drawings and detail research photographs of actual Dunkirk Spitfire restorations, the level of detail is sure to please FSX: Steam Edition pilots. Many unique animations including 'safety' stage door opening (locks canopy in open position when landing. Fully animated, highly realistic pilot with period detail and animated goggles and oxygen mask - automatic at set altitude. Fully detailed TR9 radio installed behind opening radio/first aid hatch. Battery/Start cart included and authentic start effect for prop. Authentic asymmetrical landing gear retraction on both models with ‘notched’ gear retraction and extension on hand-pump model. Forced wheels-up landing splintered wooden propeller feature on the very early Mk1 model. Authentically detailed Mk1 hand-pumped landing gear correctly simulated (30 pumps to lower, 15 to raise). Unique 'shake' on airframe at engine start and idle. 'Hidden' period radios for Navigation and Communication, accessed via correct radio control in cockpit.